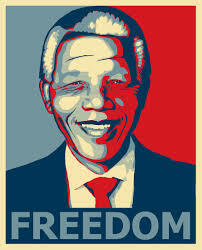 Nelson Mandela had a direct and personal involvement with UNHCR, both before and after he took office. He was personally acquainted with former High Commissioner for Refugees Sadako Ogata as well as with other UNHCR managers including former Africa Bureau Director Nicolas Bwakira and Kallu Kalumiya, UNHCR’s first Representative in South Africa. This relationship was initially centered on the return of South African refugees, but broadened later. UNHCR was the first UN agency that Mandela met with when he visited Geneva in 1990. When UNHCR first started negotiating with the apartheid minority Government for the repatriation of South African refugees, the African national Congress was initially not supportive. 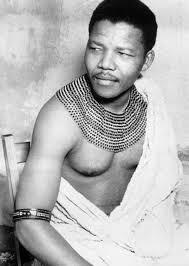 Mandela personally gave his blessing for these negotiations to continue and came at different points to support them. A second formal meeting between the ANC, led by Mandela, and UNHCR on the repatriation took place in Johannesburg a year later. The ANC reiterated its support for UNHCR’s involvement in the process. UNHCR established an office in Johannesburg later that year with sub-offices around the country. It was the first United Nations office to be reopened in the country and was supported and facilitated by the ANC under instruction from Mandela. Former UN High Commissioner for Refugees Sadako Ogata was designated by the UN Secretary General to represent him at the formal launch of the Convention for a Democratic South Africa (CODESA) process, which negotiated a new constitutional dispensation for post-apartheid South Africa. A close and trusting relationship between Mandela and Ogata was mentioned in her book The Turbulent Decade. She visited South Africa at the beginning of her last year in Office in 2002 and, at the end of that visit, met with Mandela at his home. Mandela visited UNHCR Headquarters in Geneva in 1992. Ogata was invited to his inauguration in May 1994, but was unable to attend. The then Deputy High Commissioner Gerald Walzer represented her.